Try it in your office for a week with no strings attached - we'll even pay for the coffee! Sign up and we'll lend you the machine for the duration of the contract. No rental, lease or other charges. 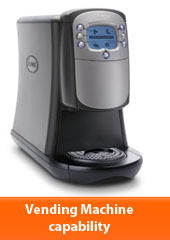 We guarantee our prices on coffee and beverage supplies.